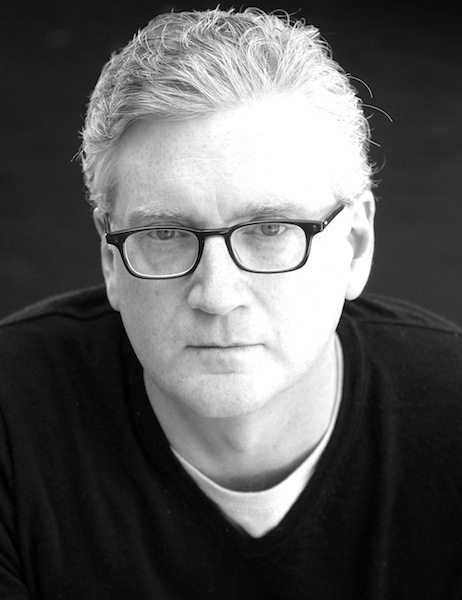 Jonathan Dee is the author of five previous novels, including The Privileges, which was both a finalist for the 2010 Pulitzer Prize and winner of the 2011 Prix Fitzgerald. He is a contributing writer for the New York Times Magazine, a National Magazine Award–nominated literary critic for Harper’s, and a former senior editor of the Paris Review. He teaches in the graduate writing programs at Columbia University and the New School. He is the recipient of fellowships from Yaddo, the MacDowell Colony, the National Endowment for the Arts, and the Guggenheim Foundation. His most recent novel A Thousand Pardons was out earlier this month with Random House. The book details the story of Ben and Helen Armstead in their suburban town of Rensslaer. When Ben’s recklessness unravels their life together, Helen is left to build a life of her own. She finds her calling in the world of PR, where she invokes public apology from the powerful men of New York. He answers a few questions here for us about the book and writing in general. Jonathan is reading at Fiction Addiction on Tuesday, March 26, 2013. This book came pretty quickly on the heels of The Privileges–did something specifically make this a quick write? I love it when people say that— “Another book? So soon?” —because I tend to think of myself as lazy and unproductive. It’s been more than three years between that novel and this one; I think maybe it seems shorter because The Privileges wasn’t on a lot of readers’ radar until the Pulitzer-finalist announcement, which came a full year after its initial publication. How long did it actually take you and how many major drafts did you see it through? I’d estimate it took about two years. Though I’m old enough to have written my first novel on a typewriter, ever since then I’ve found the “How many drafts?” question impossible to answer. The technology has changed the process. Some sentences probably went through fifteen drafts, others just one. The heart of this novel seems to be the idea of living with guilt—professing and wearing one’s guilt as the only way to deal with it. From this perspective, I wondered how you settled on Helen as the center of the story, as she is probably the least guilt-ridden character of the book. Well, Helen does feel guilty. The fact that her reasons for doing so may be flimsier than other characters’ reasons doesn’t much matter. I mean, she was raised a Catholic. And that background comes in quite handy for her, professionally: the relationship between the logic of “crisis management” and religion is something she grasps instinctively—so instinctively that she doesn’t really know she knows it. You are said to write novels of ideas—do you see it this way? Do you begin with big ideas about the current moment and build around them? I’ve come to fear the term “novel of ideas”; even when it’s meant as praise, it makes me worry that I am being praised for doing something I am specifically hoping not to do. Ideas should arise out of novels, not be poured into them. I try to begin with characters, and I try not to let myself think about those characters too contextually for as long as possible. With A Thousand Pardons specifically, did you begin with the concept we are left with—Helen’s ability to make powerful men apologize? Okay, maybe way back before I’d written a word, I did begin with an idea: I began with my own curiosity about the highly ritualized nature of public apology and its relationship to religion. Sometimes, if you look at a contemporary subject head-on, you’ll see in the corners of your vision the ghosts or vestiges of a much older, but still thoroughly American, way of life. I’m not fascinated by “the current moment,” but I am fascinated by the moment as part of the current. See what I did there? What books were you reading while you wrote this? What books would you say influenced the tone/structure/concept of A Thousand Pardons? You teach in the grad programs at Columbia and The New School. What advice do you find that your students most often need to hear? They mostly need to be reminded, and encouraged, to be patient, both within their work and about it. It takes a long time to write a good book, longer for some than for others. Two years of school, at the end of which you are told that you have graduated, puts a kind of phantom timetable in their heads. If you had to choose, what piece of advice has been the most beneficial to your writing? “It’s goddamn hard. Nobody really cares if you do it or not. You have to make yourself do it.” –Robert Stone, asked by his Paris Review interviewer if he finds that writing is easy for him. I started writing just because there was nothing that gave me as much pleasure as the world of books, and I wanted to make myself a part of that world. You start out wanting to join the club, to fit in, to show that you can write just as well as anybody else; and then at some point something shifts and you want to distinguish yourself, to show that you can write like nobody else.